Pink, such a sweet and lovely colour often associated with girls. 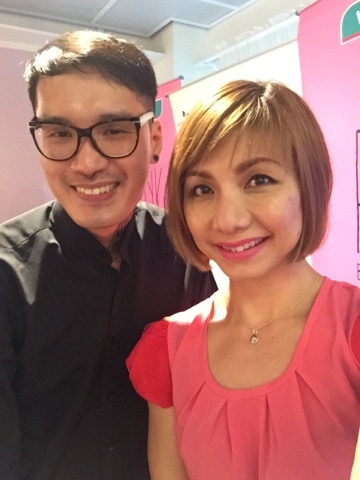 Recently, I was invited to the launch of PINK by Pure Beauty held at the hippest cafe, Hello Kitty Gourmet Cafe. Finally, here comes a new dimension from Korea's advanced innovation in skin brightening science for the young women. Watsons Malaysia is proud to present PINK by Pure Beauty, formulated using the unique combination of PhyotCellTec Alps Rose, Pink Flower Capsule and active natural whitening ingredients which helps to brighten the skin and creates a perfect hydration balance to reveal a naturally bright pinkish fair skin that every young lady wish for. 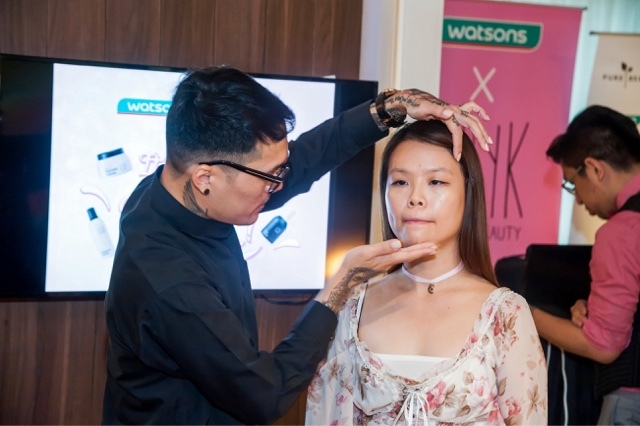 Professional MUA Steven Sunny giving a demonstration on pre make up skin care regime, followed by a K-beauty inspired make-up. Steven Sunny does his effortless make-up on me. The usage of PINK’s beauty range is easy to achieve within three steps to a glowing, luminous pinkish radiant skin. 1) PINK so fresh ESSENCE WATER - moisture and clarify. 2) PINK so glow ESSENCE for normal skin and so light DEWY LOTION to dehydration - improve hydration. 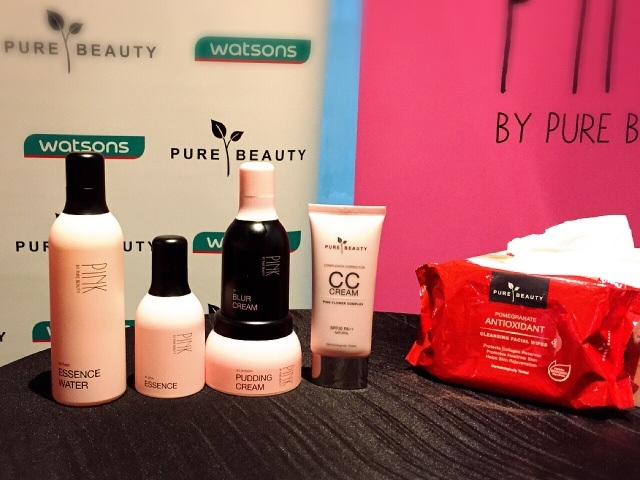 3) PINK so smooth PUDDING CREAM and so BLUR CREAM - enhance and protect. The primary ingredients of PINK by Pure Beauty are Gigawhite, Actiwhite and Niacinamide where it promotes superb whitening effect and collagen and ceramide synthesis for skin protection from UV rays. 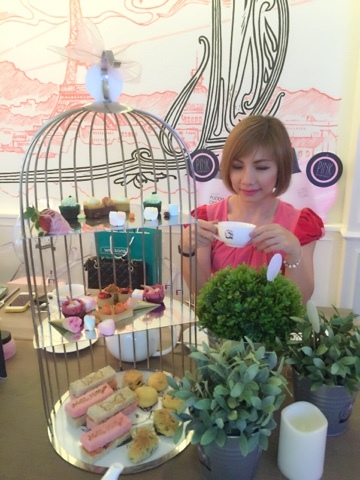 We were also treated to an afternoon hi-tea. Congrats to my friend Bowie who won the best dress in pink at the event.